AccessMedicine Blog Our Next Open House! 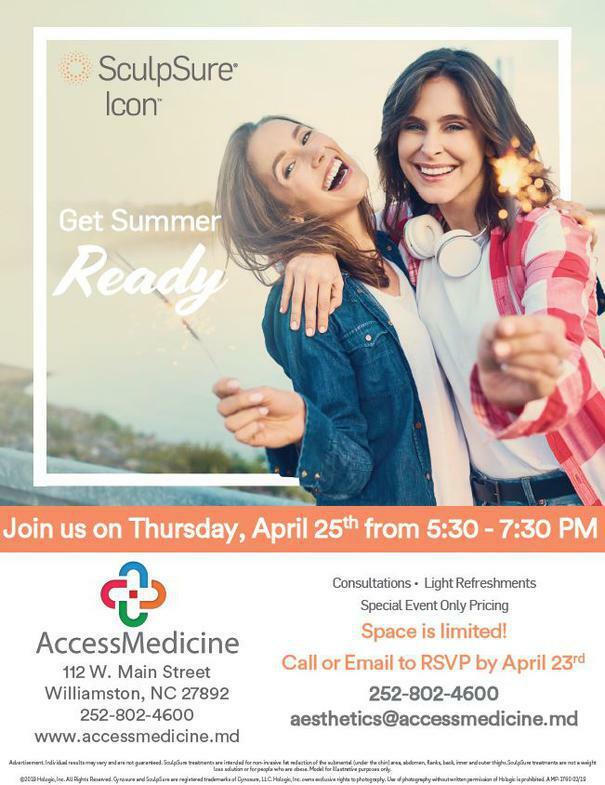 AccessMedicine is pleased to announce our next SculpSure and Icon Open House event which will be held on Thursday evening, April 25th from 5:30-7:30pm. These Open Houses are a wonderful opportunity for patients and community members to learn about the amazing skin revitalization and body sculpting services provided in our office. There will be a live demonstration, special discounts as well as free consultations available that evening. Space is limited, so please call or email your RSVP to 252-802-4600 or aesthetics@accessmedicine.md. We look forward to seeing you on the 25th! Steven Manning, MD Dr. Manning is lead physician and owner of AccessMedicine, our areas first Direct Primary Care medical practice. 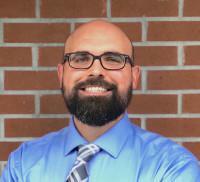 Interview with Dr. David Stevens of CMDA! 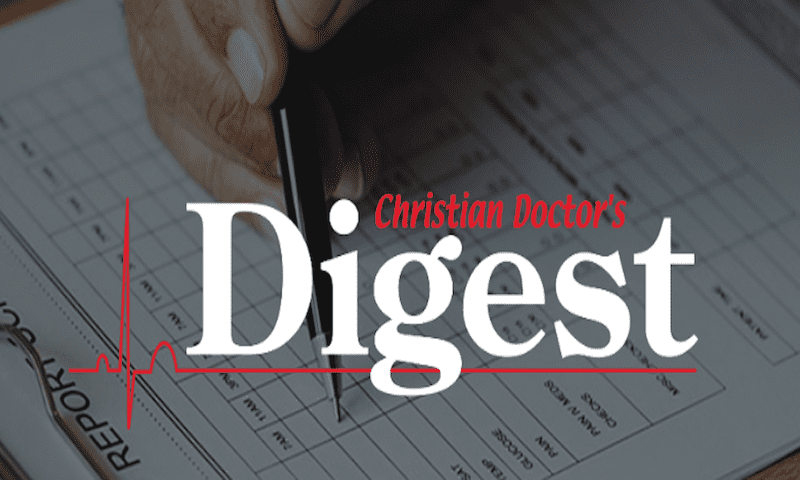 Dr. Manning had the opportunity to be interviewed by the President of the Christian Medical and Dental Association, Dr. David Stevens, concerning the benefits of Direct Primary Care. As a physician it is my goal to not only treat illness, but to promote healthy living in my patients. Today, hear a bit more about a transformational program which is now being provided at AccessMedicine to help launch your personal health journey. Do you struggle with unsightly leg veins? Do you hide your legs with long pants or capris even in the summer? 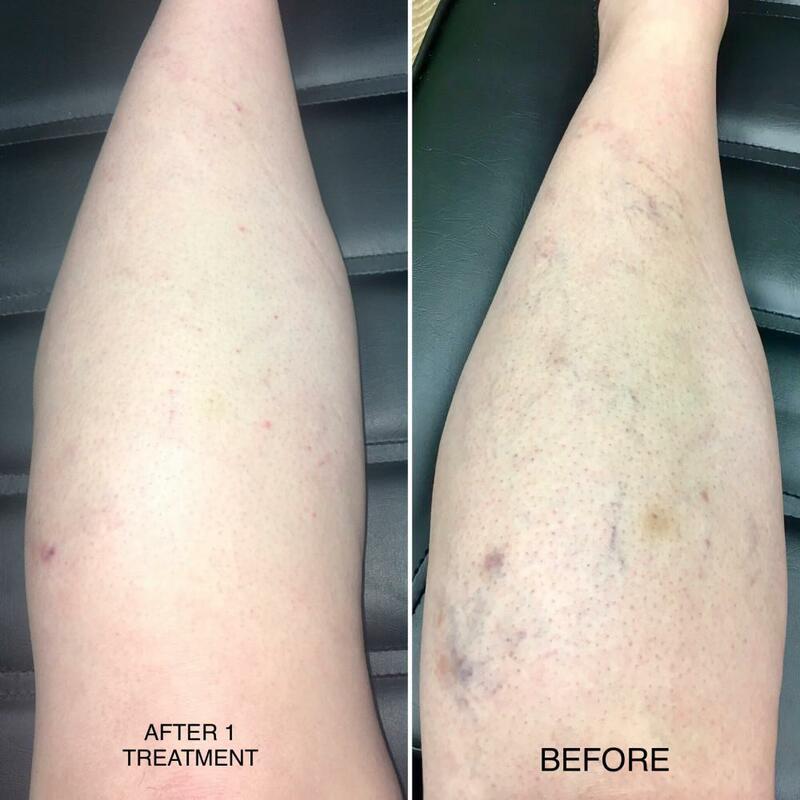 Laser leg vein removal with ICON™ may provide the treatment you need to diminish the appearance of leg veins and give you your confidence back! 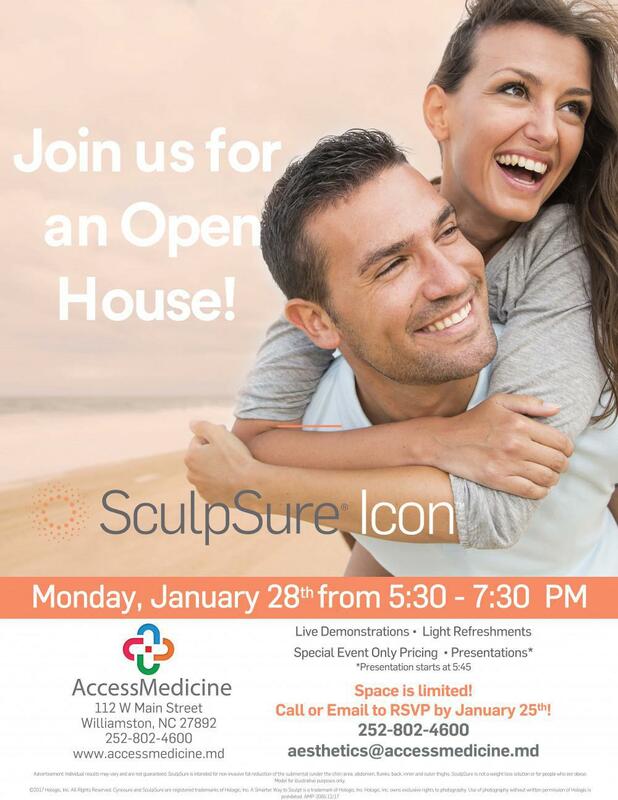 We're getting excited, our SculpSure & ICON Open House is only a few days away! Save the date, Monday, 1/28/19 5:30-7:30! Have you considered body sculpting services, but have questions about how it all works? 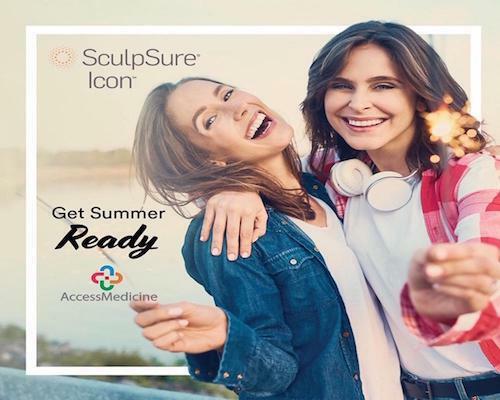 We invite you to join us for a special SculpSure Open House event where you'll see a live demonstration and have an opportunity to have all your questions answered.